WELCOME TO NIGHT VALE: surreal podcast brings All Hail live show to the UK, starting in Glasgow next Tues! London show on Oct 1st. The eerie fictional podcast bring stand-alone show to venues across the UK over the next fortnight, kicking off in Glasgow next Tuesday! Welcome to Night Vale – one of the most downloaded podcasts in the world – returns to the UK with their highly acclaimed live show next week. 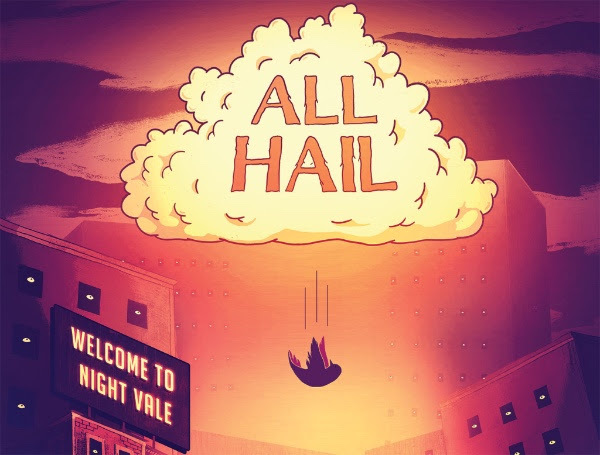 Following last year’s sell-out tour for Ghost Stories, which included London’s Palladium theatre, the Night Vale cast are already making their away across Europe, complete with a brand new script entitled All Hail. Like the podcast, the live production of Night Vale brings stories of the surreal desert town of Night Vale to the stage as a fully-realized live show delivering rich, nuanced drama in the form of a community radio show hosted by Cecil Palmer (played by Cecil Baldwin). With guest stars and live music, All Hail is a high-energy stand-alone story for long time fans and newcomers alike. It tells a mystery about the fan favorite character, the Glow Cloud, as well as mind control, group chanting, and of course the local community calendar. This unique script works equally well as a self-contained story and as a complement to the constantly evolving narrative of the podcast. Joseph Fink and Jeffrey Cranor created the Welcome to Night Vale podcast in 2012, having met through the anarchic, award-winning New York-based theatre group the New York Neo-Futurists. The show quickly became an underground success; in July 2013 it was downloaded 2.5 million times, making it No. 1 on iTunes, ahead of popular programs such as This American Life and Radiolab. That August it was downloaded 8.5 million times. on iTunes, or stream via Stitcher and Libsyn.